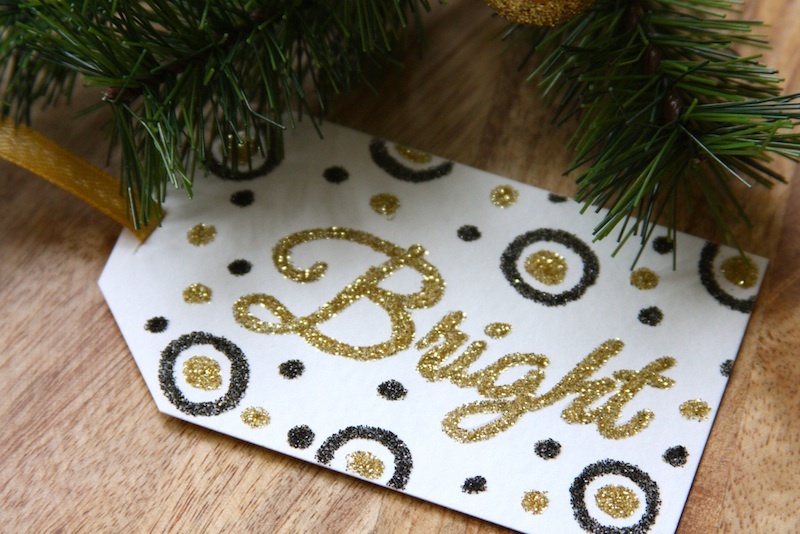 To make these gift tags, first cut your gift tag shapes out of some thick card stock (I used white but you can use whatever color you like). 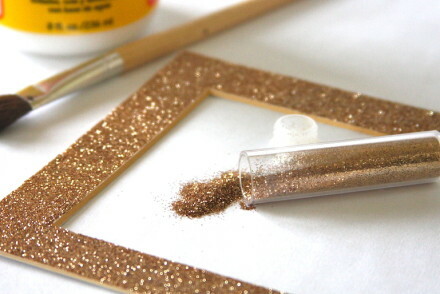 Then, using your scissors, cut a slit in the top and look your ribbon through it. 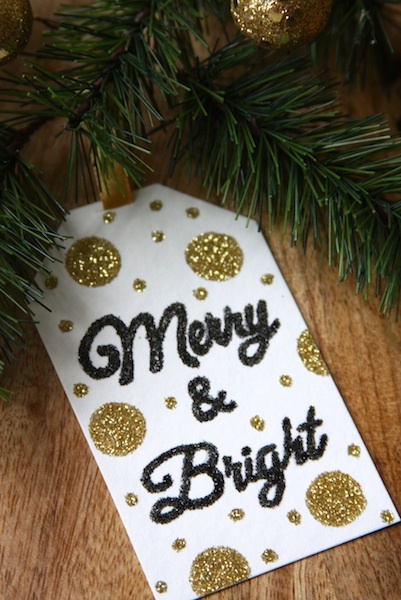 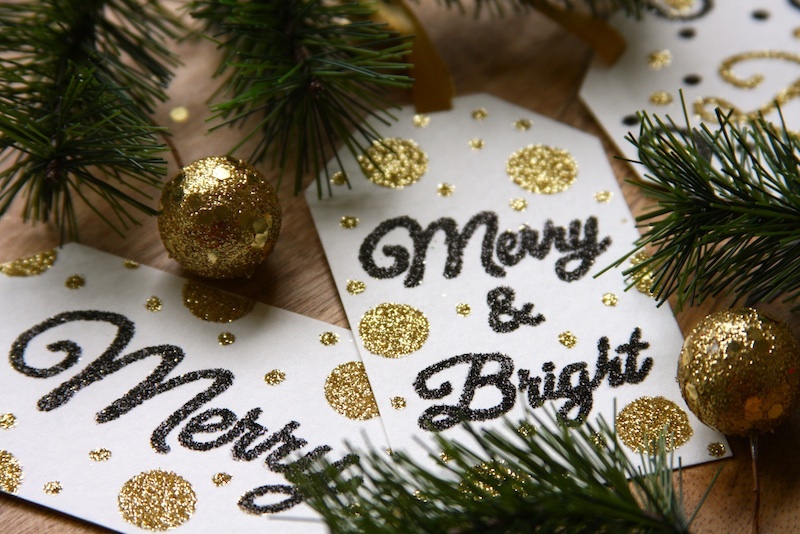 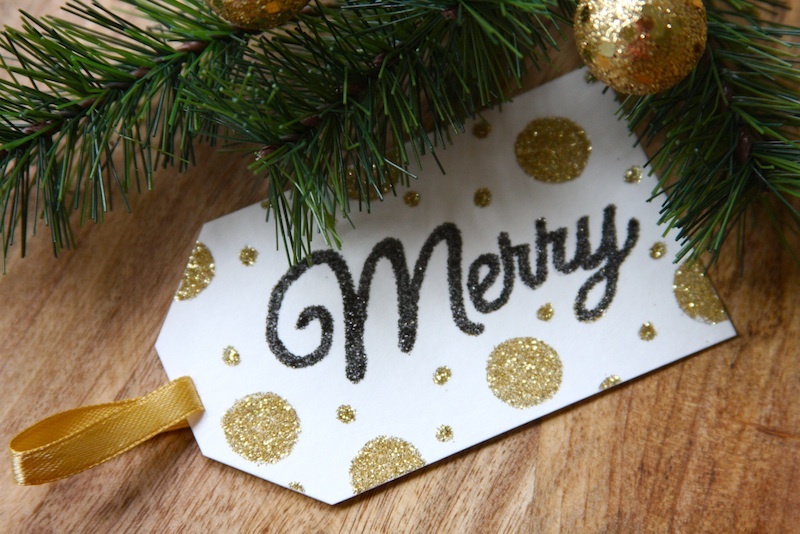 Draw your design on the gift tag with a pencil (I drew polka dots and wrote the words “Merry & Bright”, “Merry” and “Bright” on my gift tags), then go over it with your fine tip glue pen, immediately sprinkling the area with the glitter. 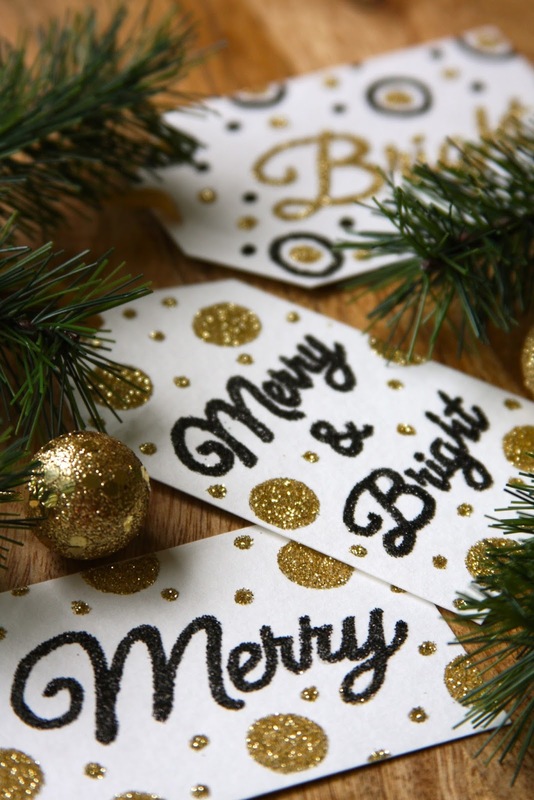 Shake off the excess glitter and let the gift tags dry completely before attaching them to gifts!